The new facility will provide loans and necessary technical assistance for sovereign green infrastructure projects such as sustainable transport, clean energy, and resilient water systems. 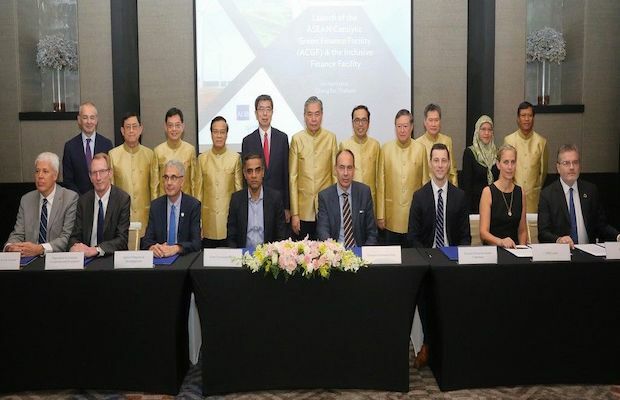 Southeast Asian governments, the Asian Development Bank (ADB), and major development financiers have launched the “ASEAN Catalytic Green Finance Facility”, a new initiative to spur more than $1 billion in green infrastructure investments across Southeast Asia. “Through the ASEAN Catalytic Green Finance Facility, ADB will support ASEAN governments in developing green and climate-friendly infrastructure projects that will contribute to fighting climate change, improving the quality of air and water, and reducing environmental degradation across the region,” said ADB President, Takehiko Nakao. The fund aims to catalyse private capital by mitigating risks through innovative finance structures. The facility will mobilize a total of $1 billion including $75 million from the ASEAN Infrastructure Fund (AIF), $300 million from ADB, €300 million ($336 million) from KfW, €150 million from the European Investment Bank, and €150 million from Agence Française de Développement. Recently, the bank announced that it had inked an agreement to invest $50 million in Noida-based solar energy project developer Avaada Energy Pvt Ltd to help the company scale up rapidly.